With the holiday season coming around the corner, finding new interactive games is the number one goal. Especially, for the kids that have every game they could possibly want or need. The hunt is on to find a game that is different from all the rest while still keeping kids interested in playing them. There is a new gift on the market that will have every parent running to the stores to pick one up. 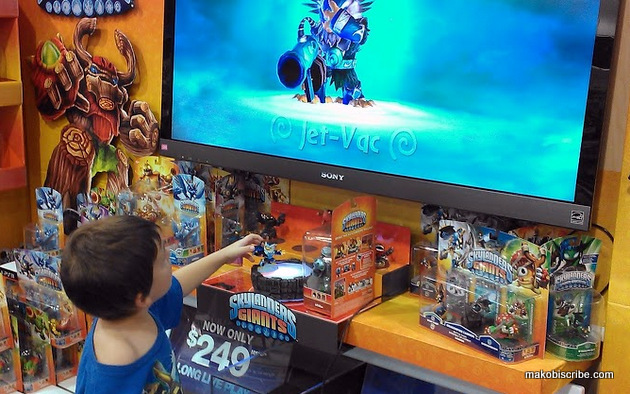 It starts 1000 years ago where the Skylander Giants fought battles in Skyland until they were banished and sent to Earth. 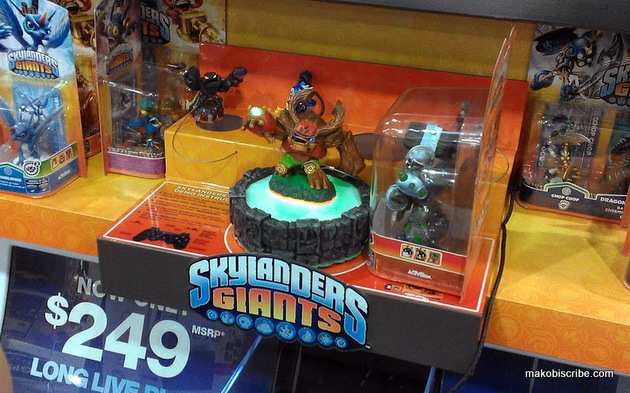 Now there is a new darkness that has risen with their enemy, KAOS, allowing them join forces once again with the Skylanders. It is now the player’s skills and game smarts to help fight in their ultimate battle to save Skyland. Below is a picture of the portal that you set the Giants on to play the game. My family and I went into Best Buy to check out the demo. We had the game for Wii, so I wanted to see if they could play on a PlayStation 3 since the controls are different. Once you place the physical figurine on the portal, the character jumps to life in the game. When your life for that particular character is up, it prompts you to select a new one while that one rests up. My kids can go through a whole set of figurines without having to restart which is awesome to extend their actual playtime. This is the must have of the season! 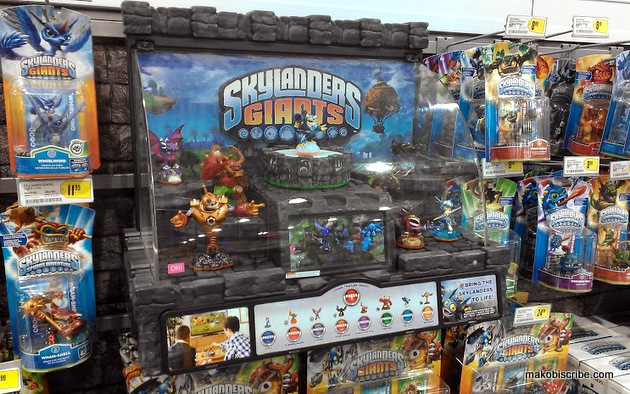 The Skyland Giants starter kit comes with everything kids might need in order to help the Skylanders defeat KAOS. It includes 1 Video Game, 1 Portal of Power, 3 Skylanders Figures, 1 Character Collector Poster, 3 Sticker Sheets with Secret Codes, and 3 Trading Cards. It has all of the essentials to get the games rolling. Home is not the only place where this amazing game can be played. They also offer the option to use it on-the-go with a smartphone or tablet or online when a computer is handy. You can also carry your figurines with you to your friends house and play on their system with all of the settings you had on your own game. 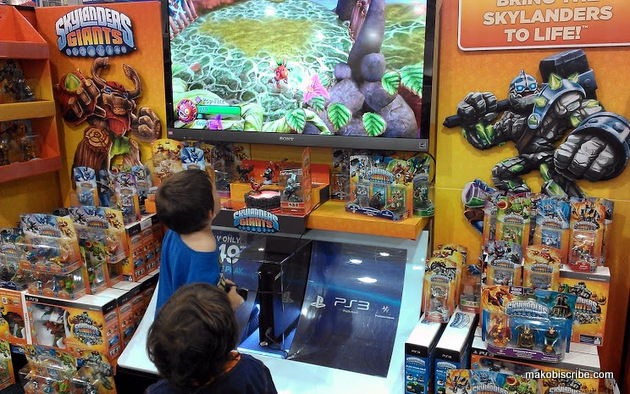 Kids will have a blast no matter where they are. Why don’t you see for yourself? Head in to a Best Buy near you and give it a try. My kids liked the PlayStation game a lot better because it was easier for them to handle the controls. I know what my boys are getting for Christmas!